Welcome to Motor Planet, one of Manchester's best independent car dealerships. More importantly, we're family owned and operated with over 30 years of experience buying, checking and selling used cars of all makes and models. That means we're small enough to care about all of our cars, and we highly value customers just like you! We're not your traditional used car salesman; we're just a bunch of local people, eager to help you find your perfect used car. Find out how we go that extra mile here. All our cars are fully HPI checked so you can be certain of their history and reassured you're driving a safe, sound vehicle. We make sure we spend plenty of time checking out all the mechanics and features before we put up any car for sale and then we'll also double check everything before you drive away. 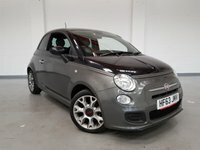 Why not take a look at our current used cars for sale. Sometimes, getting rid of your old car can be just as hard as finding a new one, especially because you want to make sure you get the very best deal for it. We pride ourselves on offering the most competitive prices for part exchange cars; we'll buy them for cash, hassle free! When you've found your perfect car, you don't want to let it slip away. We'll help you through every step of the process on site, giving you the advice, support and tailored packages, you need. So when you fall in love with one of our cars, you can drive away without any worry or stress - often on the same day! TAKE A LOOK AROUND, THEN COME AND VISIT US! Once you've seen what we have to offer, had a read of our glowing reviews, and decided that we really can help you buy a used car with the best service in the area, then all you need to do is book a test drive and come and visit us! We pay competitive prices for cars.